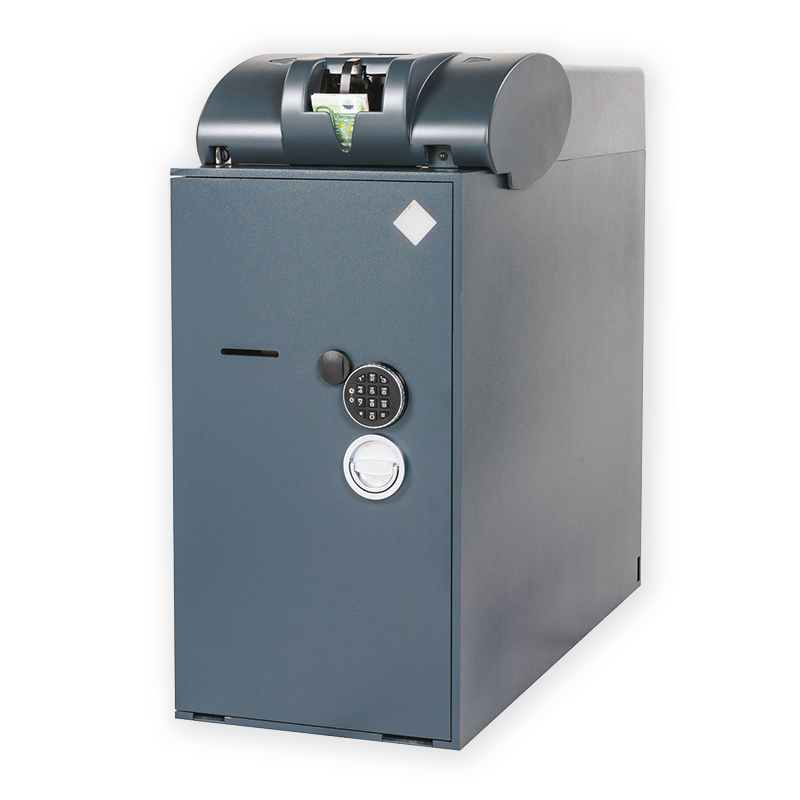 The AST 7008 is a high capacity banknote recycling unit with the addition of a deposit module for easy CIT pickup and banking. 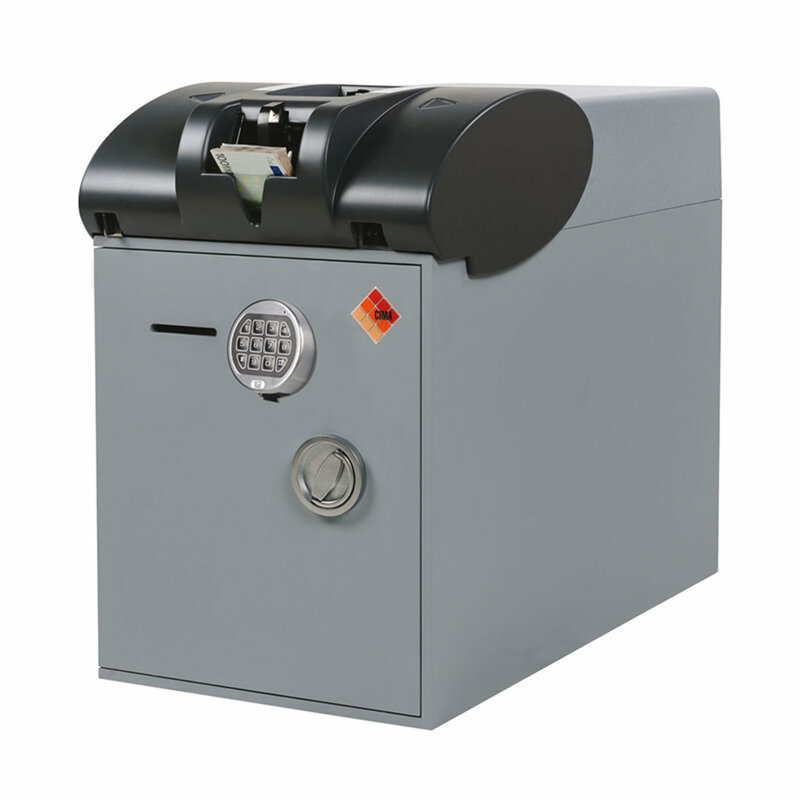 Designed to guarantee speed, accuracy, and durability with high volumes of cash, the AST 7008 handles the validation, storage, dispensing and deposit of banknotes through one input pocket, offering full security and protection against theft and hold-ups, thanks to the safe's lock and time delay function. The AST7008 offers high capacity in a compact space, and it seamlessly integrates into any PoS, banking or gaming management software. 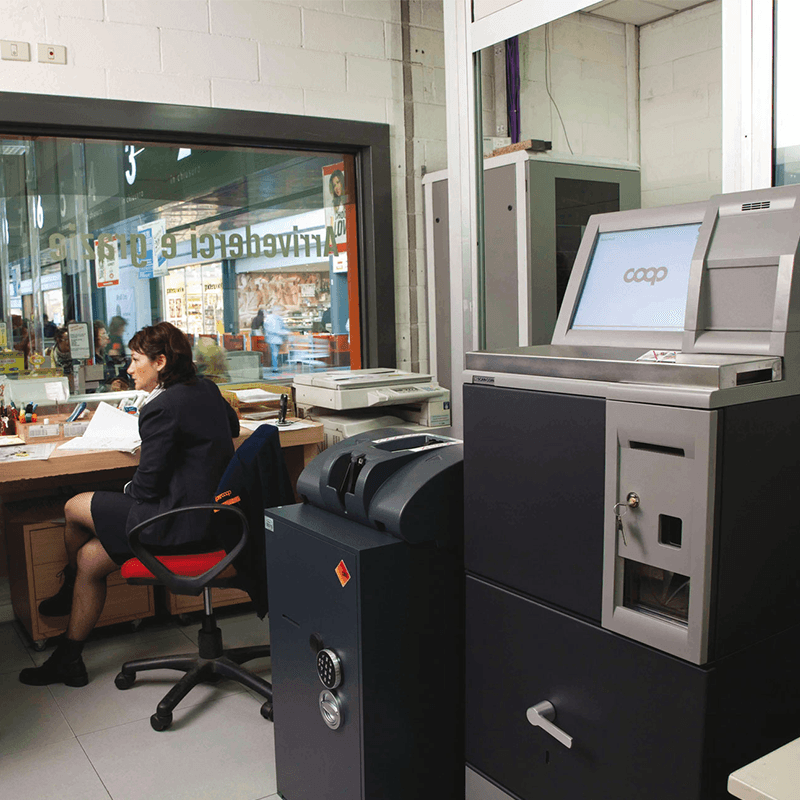 Counts and dispenses banknotes at a speed of 7 and 6 nps, respectively. BV 5000 sensor employs the most advanced banknote recognition technologies - magnetic, infrared, fluorescence, ultraviolet, and visible light. C-Link software allows for remote monitoring and management of the device in real time. The banking module can be set up with either a high capacity canvas bag (10,000 notes capacity), the disposable heat-sealing bag (4,000 notes) or the disposable heat-sealing stacking bag (3,000 notes). It can be used in conjunction with EFTPOS machines, providing cashier-assisted functionality and reporting. 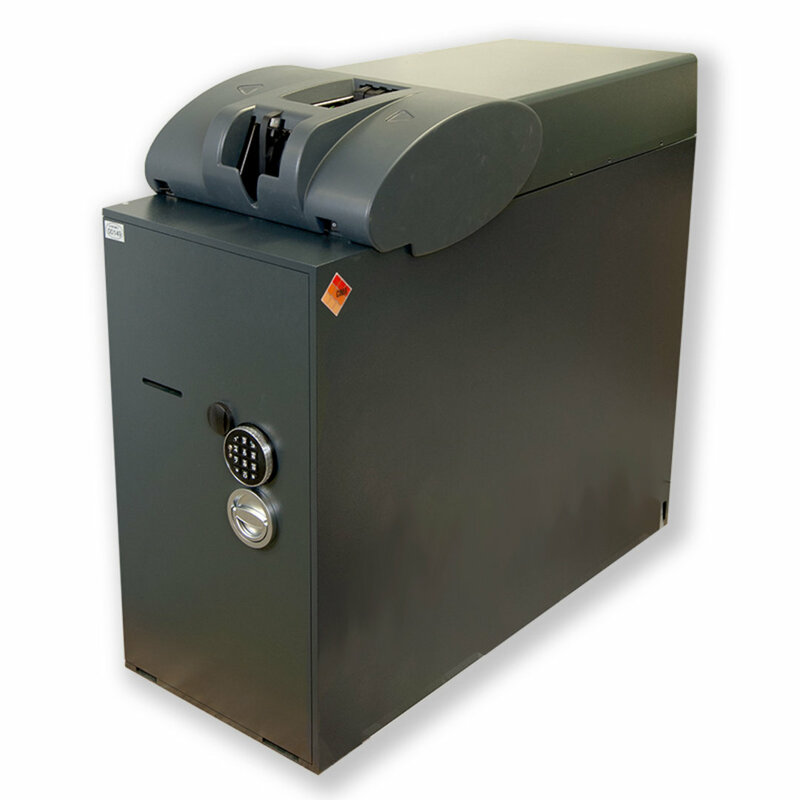 It can be interfaced with coin handling devices. 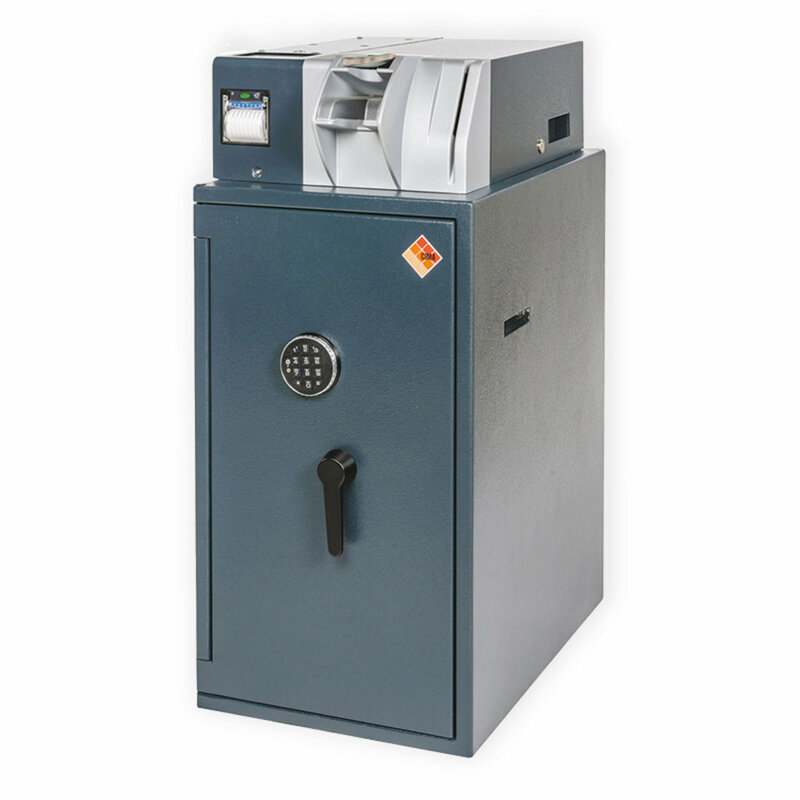 Time delays on payouts provide an effective deterrent to potential armed theft and hold-ups. 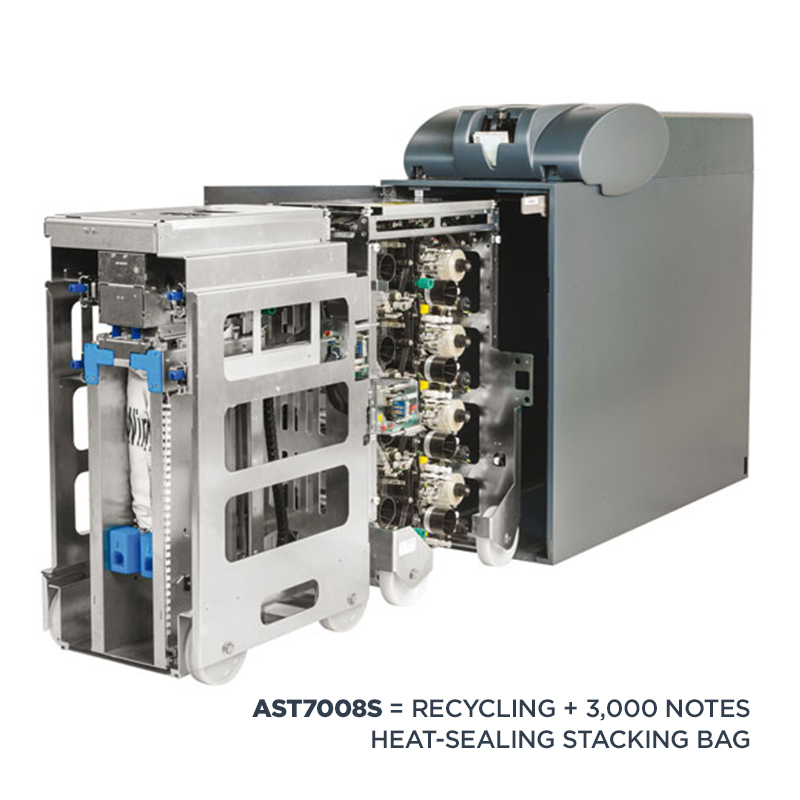 The plug & play module allows replacing the frame carrying the heat-sealing bag with an 8-drum frame, turning the AST7008 into an AST7016.